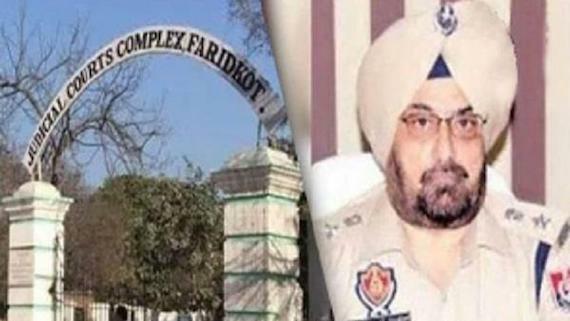 Chandigarh: Sath, a students group in Punjab University Chandigarh, has announced to hold Ardas in the memory of Saka Behbal Kalan Shaheeds and seek action in Beadbi cases. Sath has released a poster carrying the details of the event. 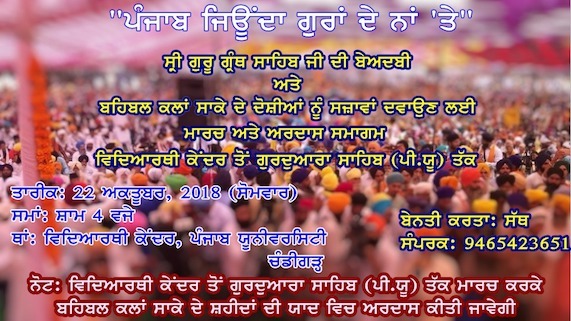 As per the programme students will gather at the Students Centre at 4 pm and from there they will move towards the Gurdwara Sahib in form of a procession. 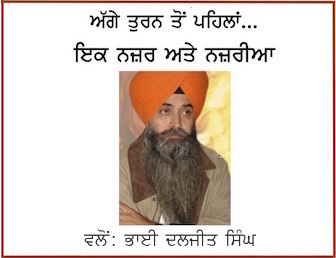 At the Gurdwara Sahib students will hold Ardas in the memory of Bhai Krishan Bhagwan Singh Niamiwala and Bhai Gurjeet Singh Sarawan who were murdered by the Punjab police at Behbal Kalan village on October 14, 2015 when the police had opened firing on Sikh Sangat who were demanding arrest of culprits of Beadbi incidents. Sukhminder Singh, one of the organisers of the event said that the Sath will demand action against culprits of Beadbi incidents.